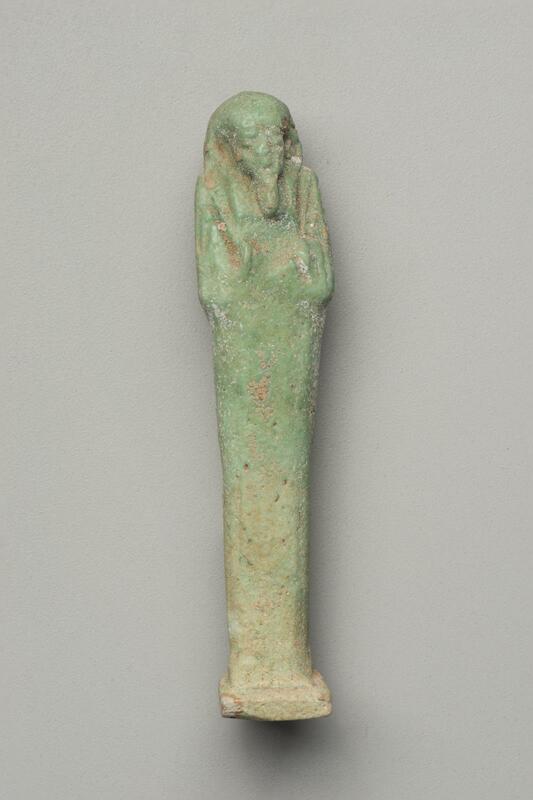 This shawabty is attributed to Imhetep son of Heribwadjet and dates to the Late Period. The typology of this period consists of a tripartite wig, long beard, back pillar and base, with the figure holding the pick on the right shoulder and hoe and cord to a small seed bag on the left. Here the arms are crossed right over left. There is incised text on the back pillar. There is no hair line. 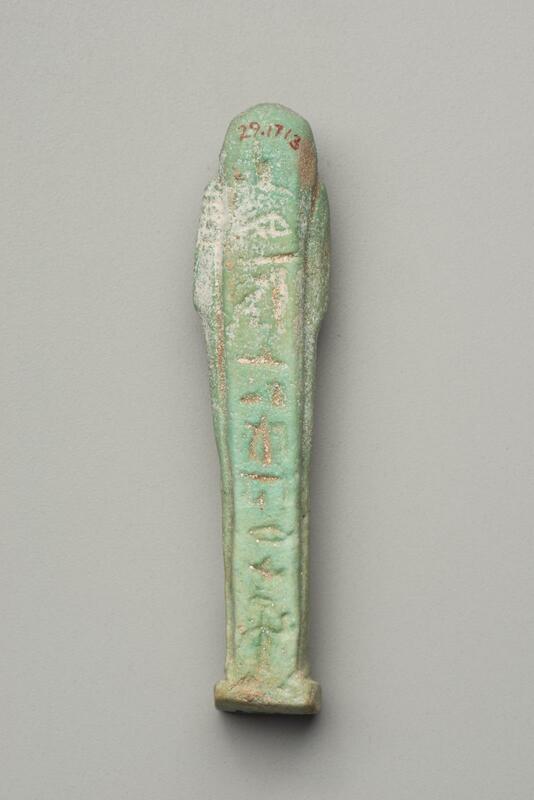 This shawabti is inscribed with one vertical line containing Imhetep’s name and his mother’s name.